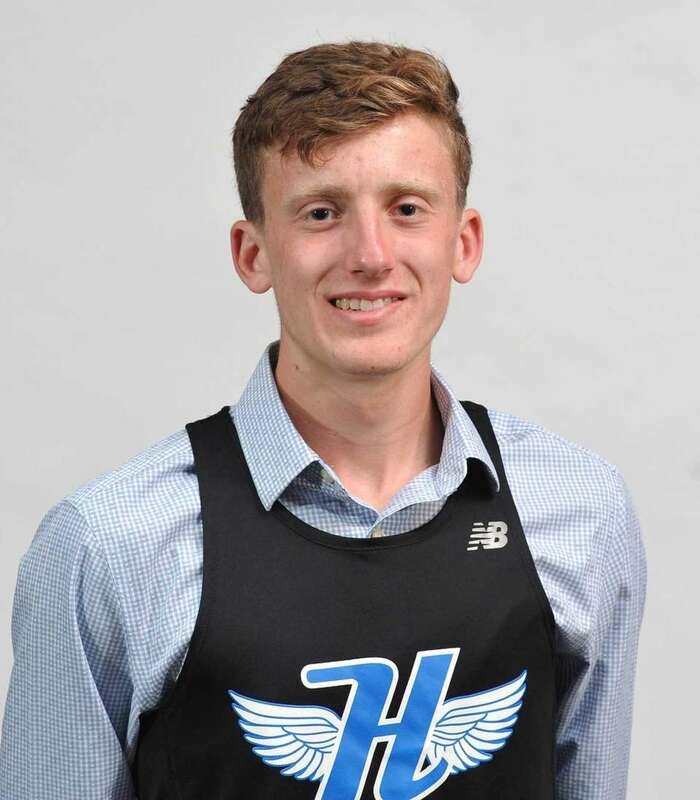 Meet the athletes who made it onto Newsday's All-Long Island boys track team for the 2015 winter and 2016 spring seasons. His demeanor quiet and stoic, his stride effortless and smooth, his championships almost too many to count. 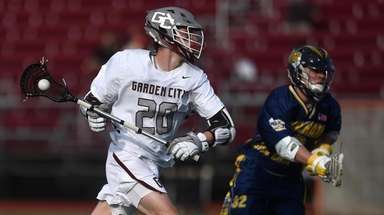 Tucker was, far and away, the top track athlete on Long Island this year and he had a team behind him that only added to his success. 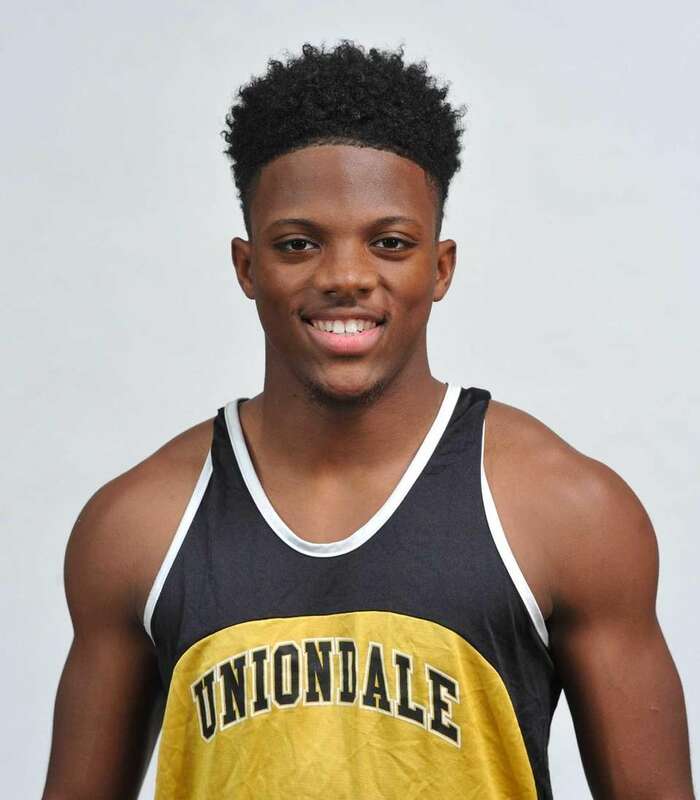 The UMass-bound talent can run, jump and beat anyone who dares to stand between him and the top of the awards podium. 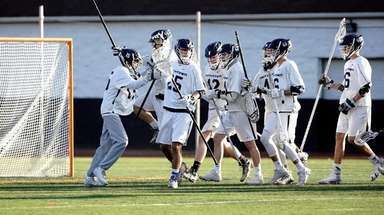 Tucker won three outdoor state championships, the 110 meter hurdles (14.06 seconds), the 400 meter hurdles (52.35 seconds), and ran anchor on the 4X400 team that had everyone talking on their way to a 3:15.00 Suffolk County record time. Tucker won the indoor 55 meter hurdle state championship in 7.38 seconds and ran anchor on the state and national champion 4X400 meter relay team. 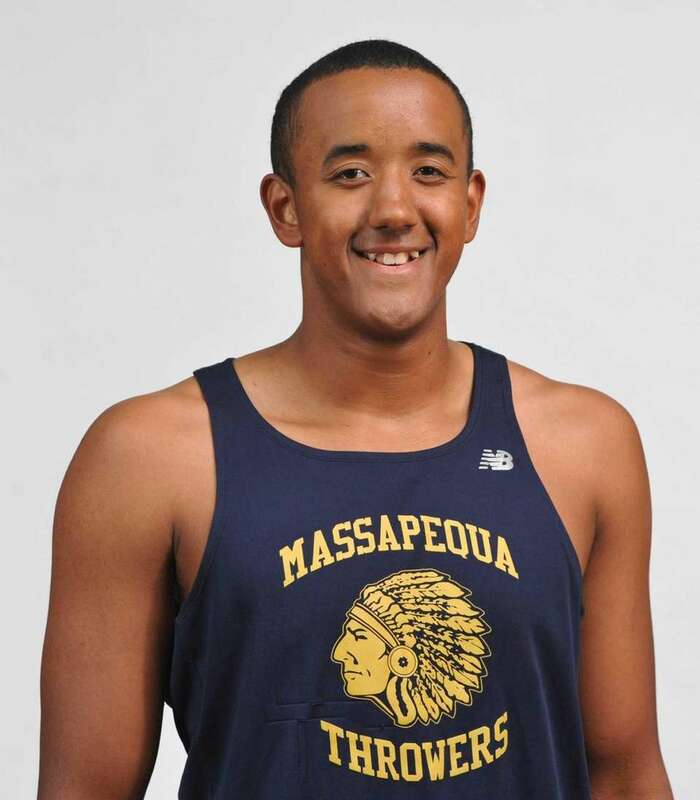 Nassau Athlete of the Year: Leon White, Massapequa, Sr.
White finished fifth in the weight throw at the indoor state championship, tossing 61 feet, 4 1/2 inches, the highest Long Island finisher in that event. 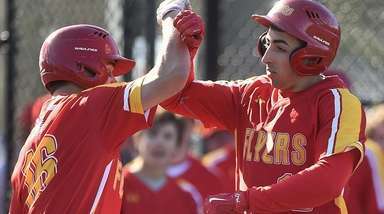 He tossed the discus 178 feet, five inches at the New York Relays in April, a throw that, entering outdoor nationals weekend, was still the best toss on Long Island. 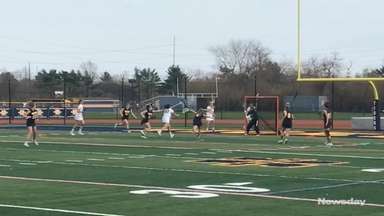 The senior won the Nassau A-III discus in the spring, tossing 176 feet, seven inches. 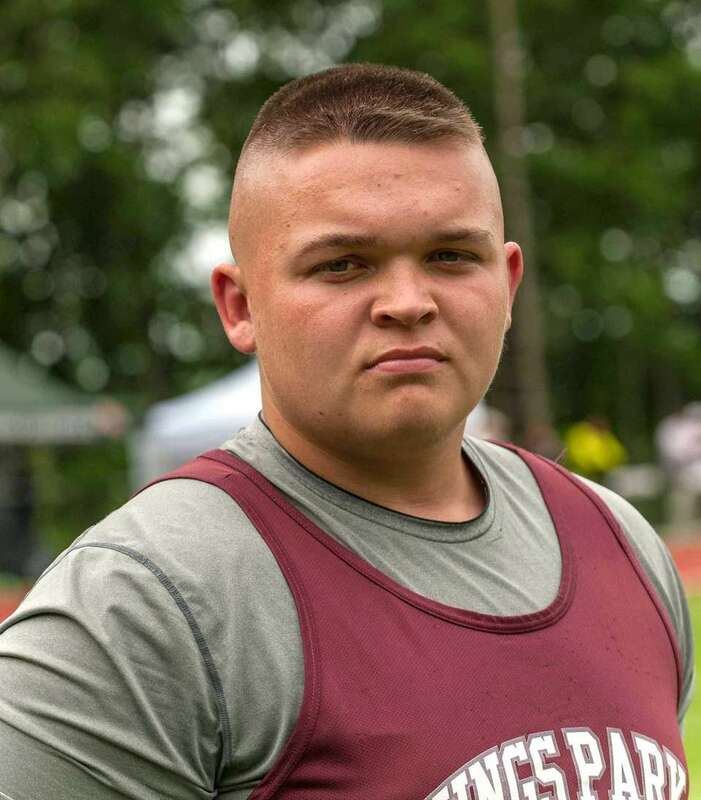 He took the state discus at the Nassau outdoor qualifier, throwing 155 feet, two inches. 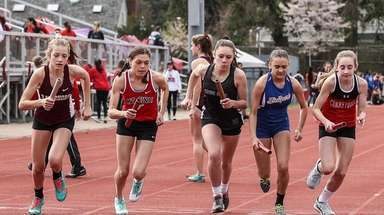 Beglane anchored the Eagles' outdoor state champion 4X800 meter relay team. He took third in the indoor state 1,000, running a 2:31.52. 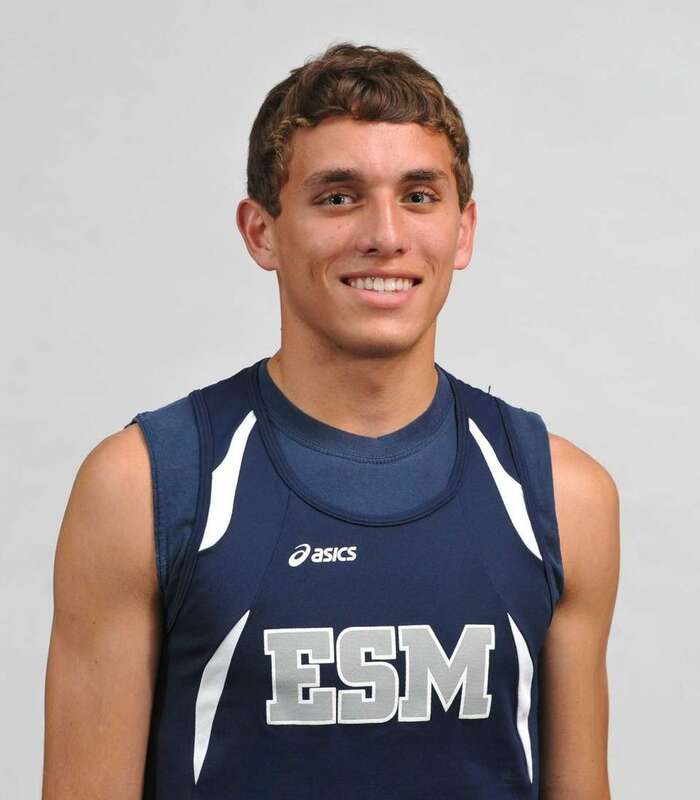 He also won the indoor Suffolk Small School 1,000 championship. Borzor led off the 4X200 meter relay team that won the indoor public school championship in 1:32.72. He was third in the the Nassau Conference I indoor 300 in 37.77 seconds. 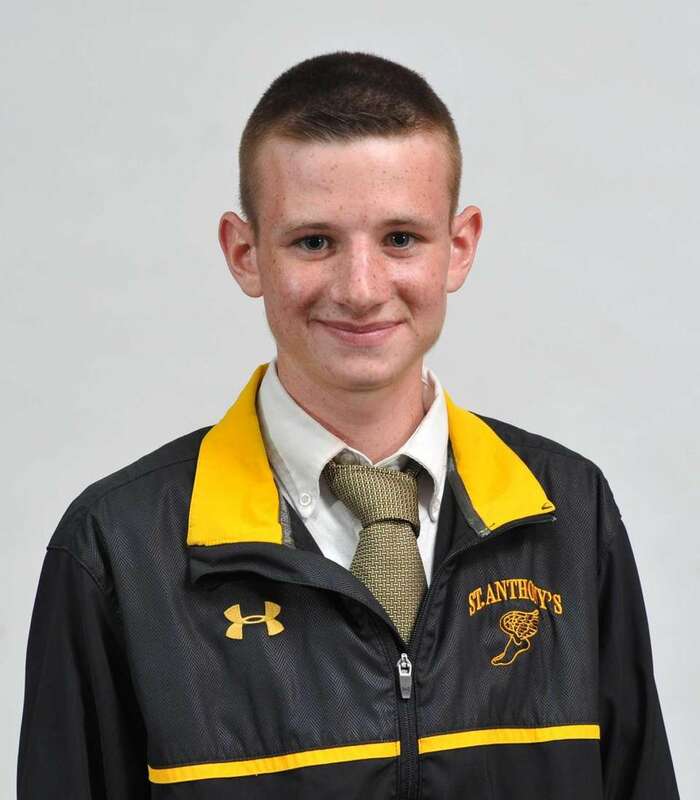 Freddie Buckholtz, St. Anthony's, Sr.
Buckholtz ran a 1:54.35 anchor leg to lead the Friars back from a sizable deficit in the CHSAA Outdoor Intersectional 4X800 meter relay. He was fifth in the 1,600 at the outdoor state championships. Danny Byrne, Kings Park, Jr.
Byrne finished third in the indoor state shot put, tossing 54 feet, 6 3/4 inches. He was fifth at the state outdoor championship, putting the shot 55 feet, 2 1/4 inches. 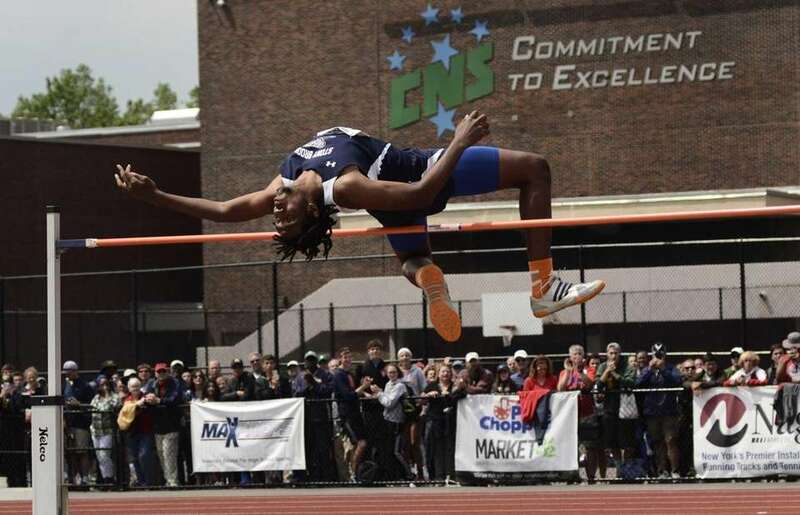 Daniel Claxton, Smithtown East, Jr.
Claxton won the indoor state high jump championship this winter, clearing 6 feet, 8 inches. 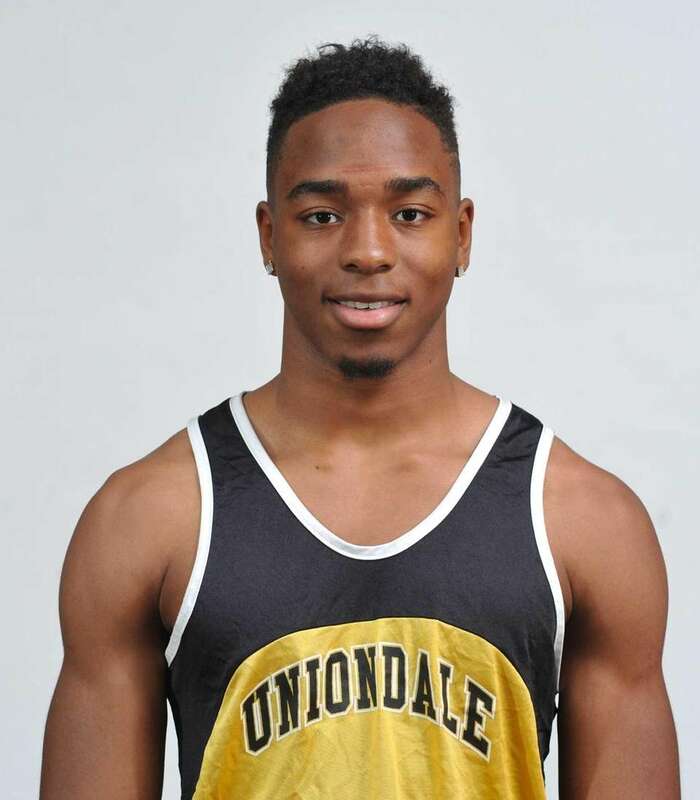 A similar jump earned him the state title in the spring. 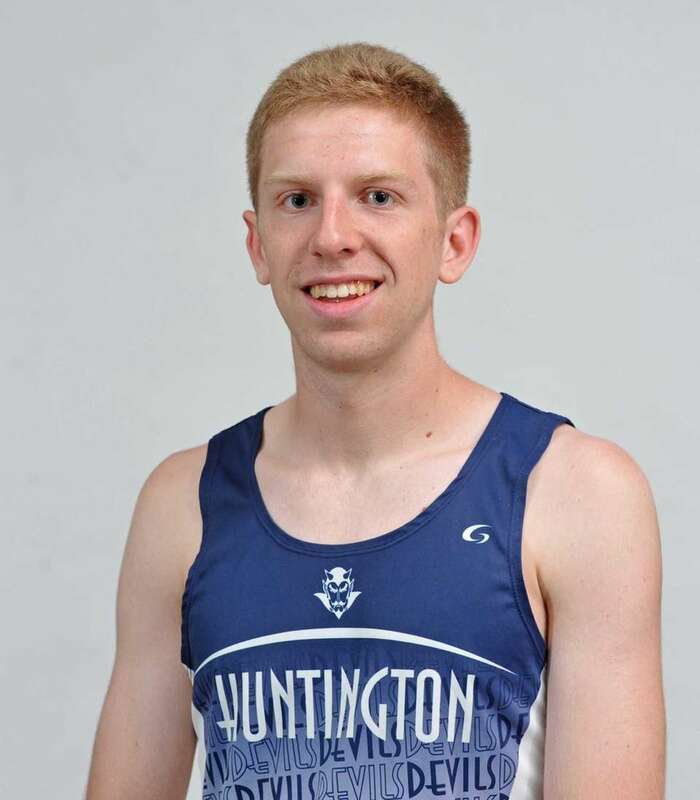 Coulter took second in the state 800 meters in the spring with a personal-best 1:53.47 and second in the state 600 in the winter in 1:21.81. 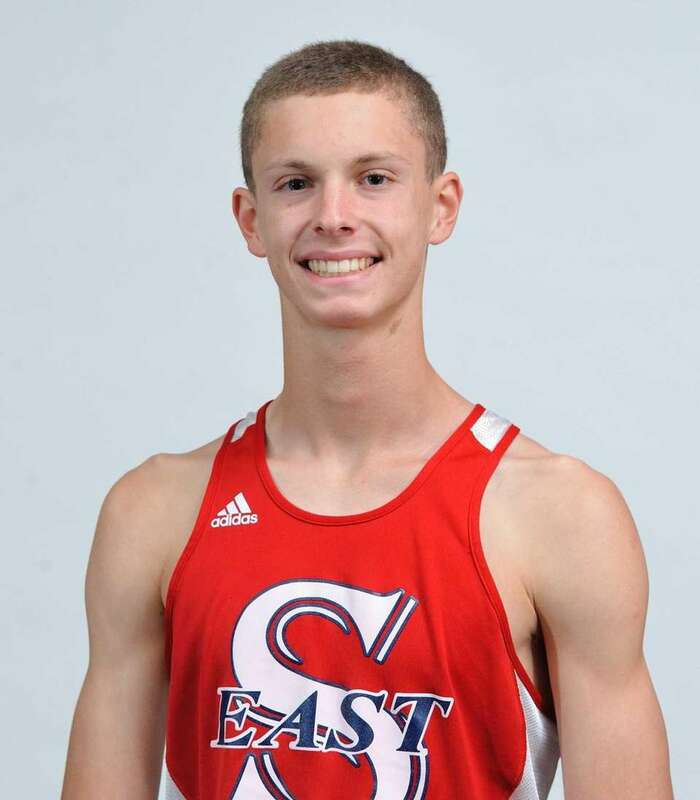 He won the Suffolk indoor Large School 3,200 and 600 championships. 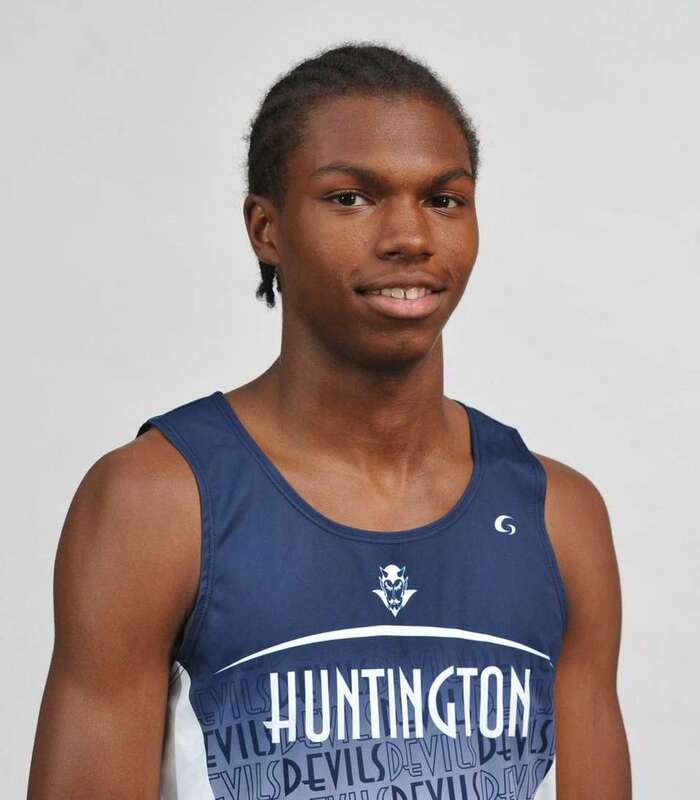 Duhaney ran anchor on the 4X200 meter relay team that won the indoor public school championship in 1:32.72. He also won the Nassau AAA outdoor 400 hurdles championship in 54.90 seconds. Jyles Etienne, Stony Brook, Jr.
A native of the Bahamas, Etienne said he came came to Stony Brook for a better education. Winning a state championship was a bonus. Etienne took home the outdoor high jump crown in Cicero, clearing 6 feet, 10 inches. 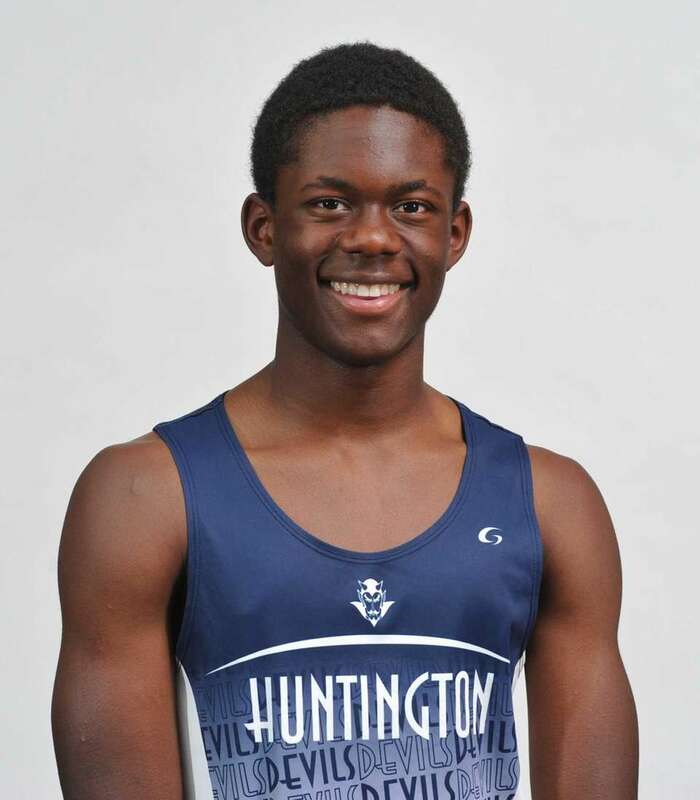 Harriott ran second on the 4X200 meter relay team that won the indoor public school championship in 1:32.72. 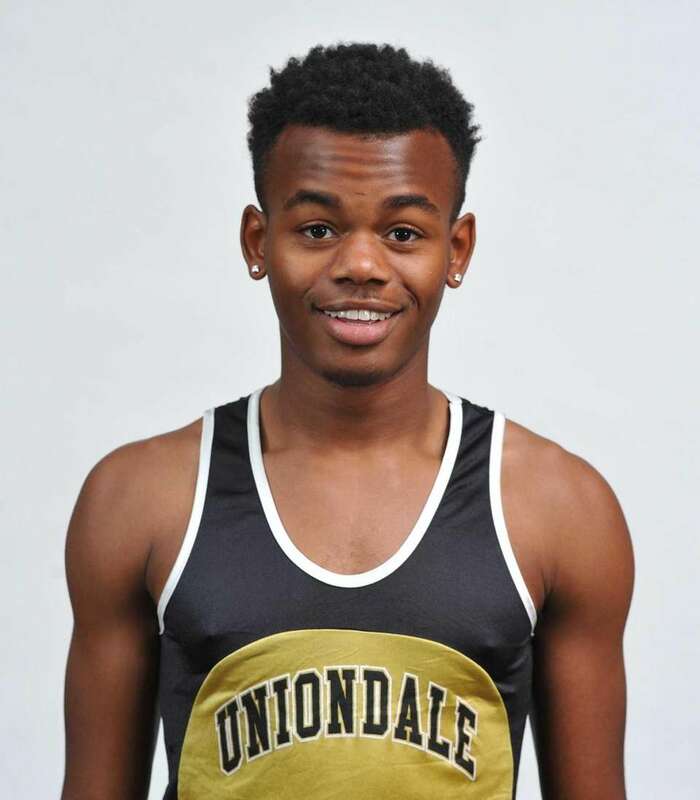 He was fifth in the Nassau Class A indoor 55 meters in 6.83 seconds. 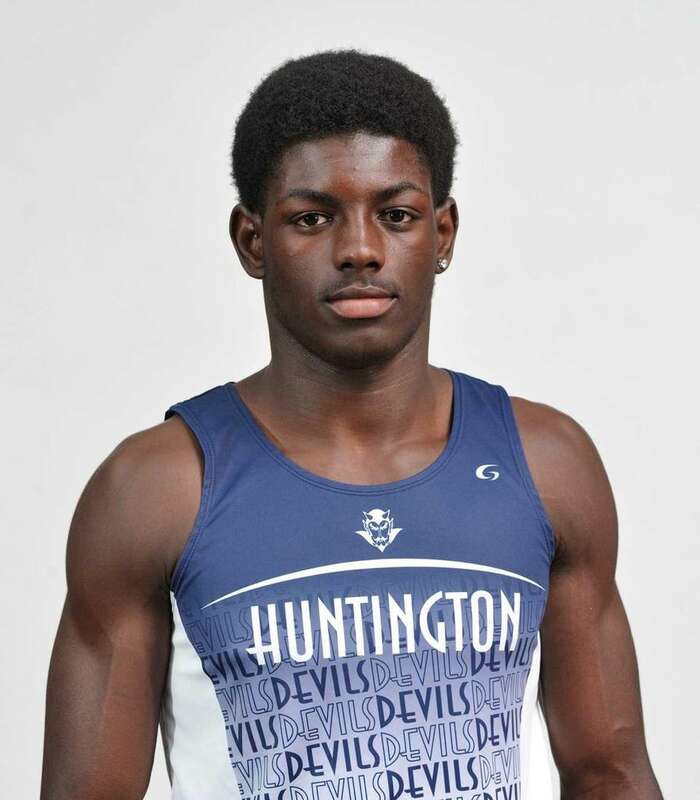 Johnson won the state outdoor 400 meter championship in 47.94 seconds. He also ran a 48.1 second leg on the 4X400 relay team that won the outdoor state championship in 3:15.0. 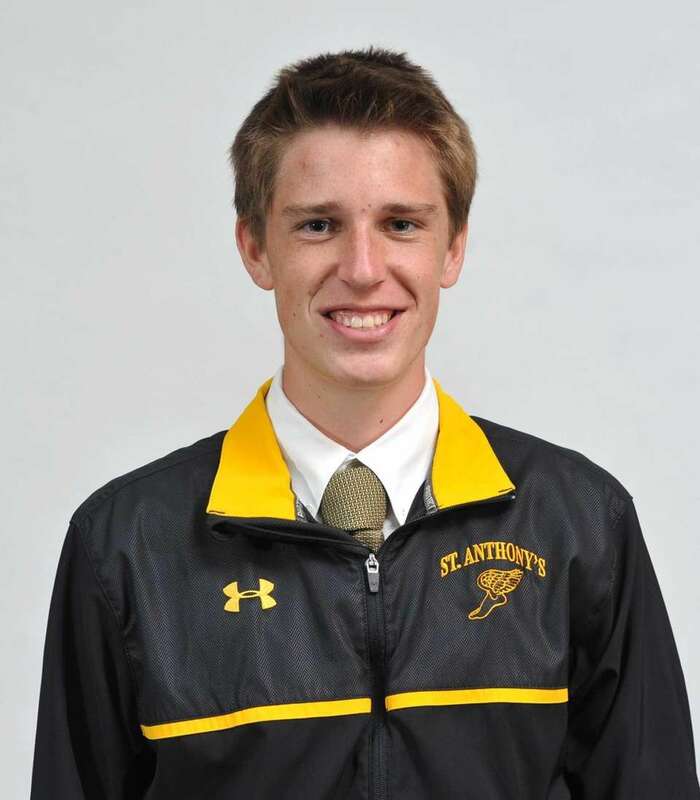 Ryan Kutch, St. Anthony's, Sr.
Kutch was just three seconds off the pace in the indoor state championship 3,200 meters, finishing second in 9:06.18. 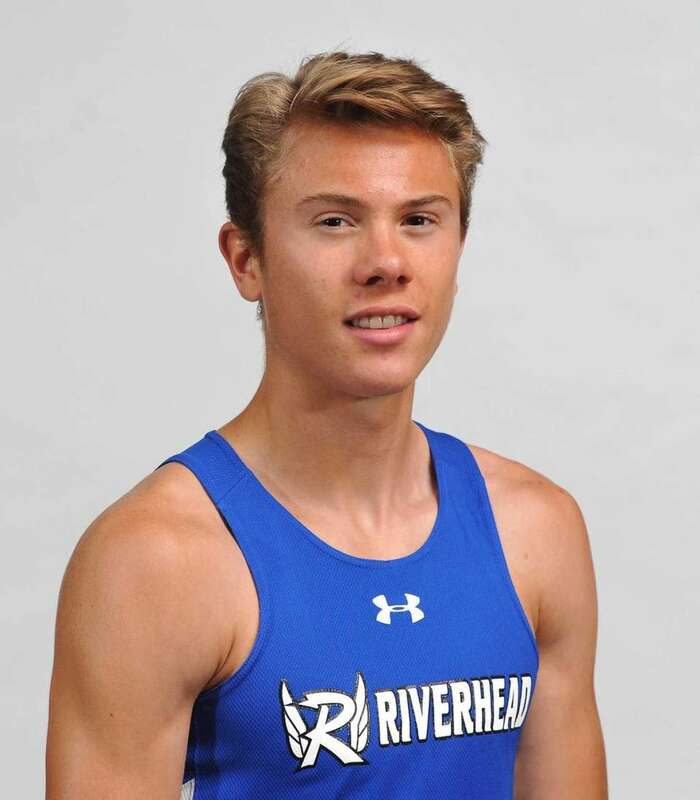 He cruised to victory in the outdoor 3,200 at the CHSAA Intersectionals. Luke Lafferty, Eastport-South Manor, Sr.
Lafferty came oh, so close, in the indoor state 300, running a 35.02 that was just .08 seconds away from the state title. He finished fifth in the outdoor 400, clocking a 49.09. Leake led off the 4X400 relay team that won the outdoor state championship in 3:15.0 with a 49.7 second leg. He was fourth in the Suffolk Division II 400 in 49.85 seconds. McGuire won the 800 meters at the Suffolk state qualifier in 1:53.64. He ran a 49.6 second third leg on the on the 4X400 relay team that won the outdoor state championship in 3:15.0. Modest ran third on the 4X200 meter relay team that won the indoor public school championship in 1:32.72. 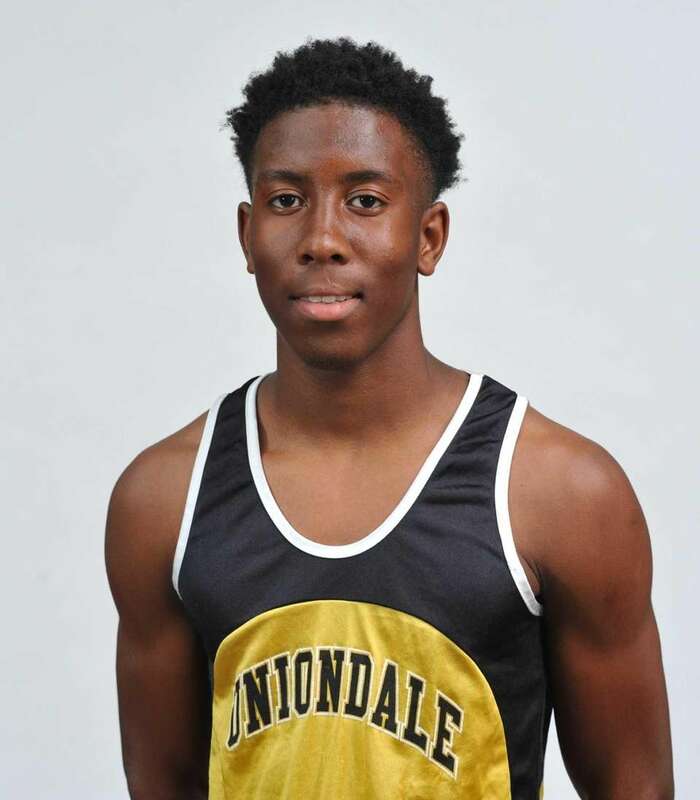 He was sixth in the Nassau Conference I 300 in 38.43 seconds. 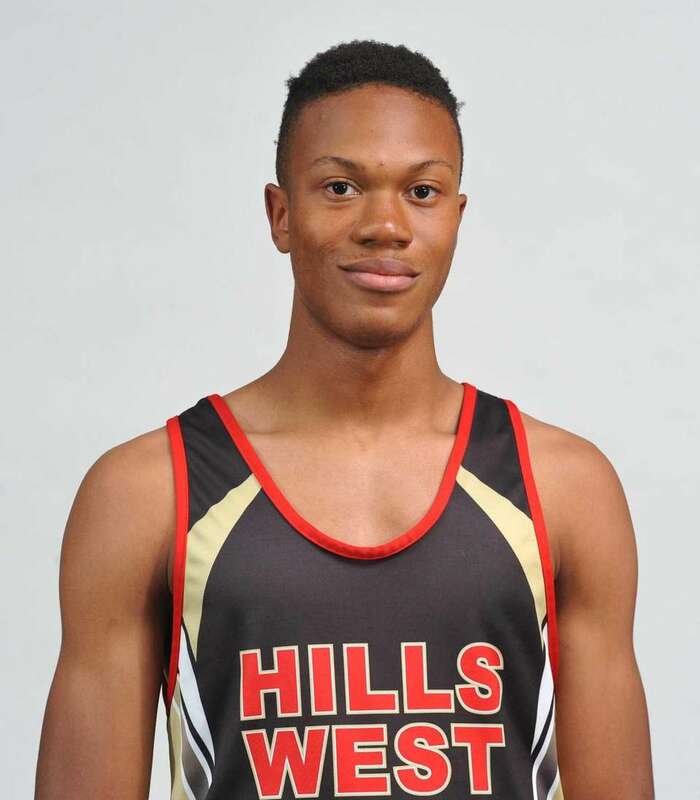 Jovahn Williamson, Half Hollow Hills West, Jr.
Williamson won the Suffolk Outdoor Division II 400 championship in 48.35 seconds. Entering New Balance Nationals, that time ranked fourth in the state. 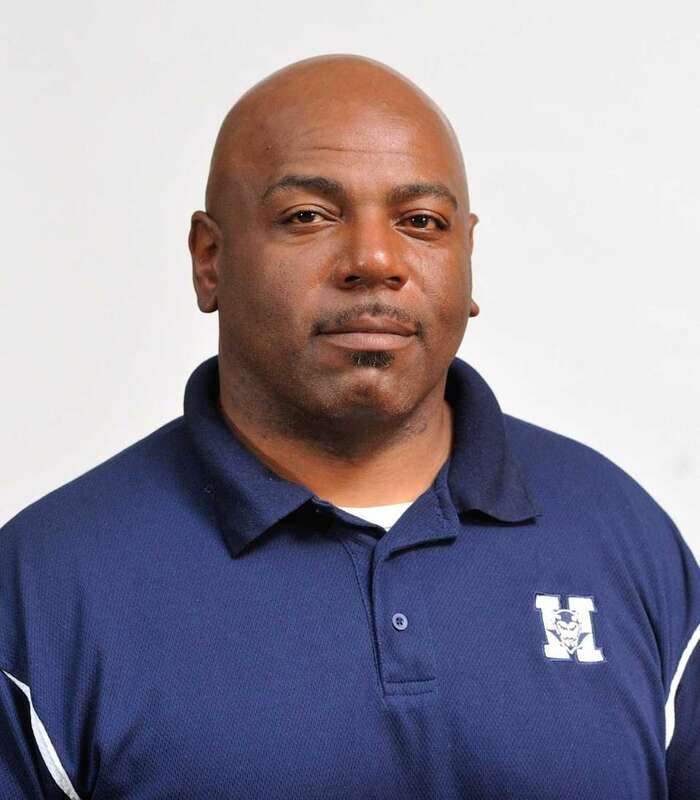 Wilson was at the helm of an indoor and outdoor Suffolk County Championship team, coached the 4X400 meter relay squad that won two state titles, an indoor national championship, and, according to Leonetiming.com, scored the most points at the outdoor state meet by a large margin.